21 locomotives tackling the line's infamous gradients in the best of winter weather. 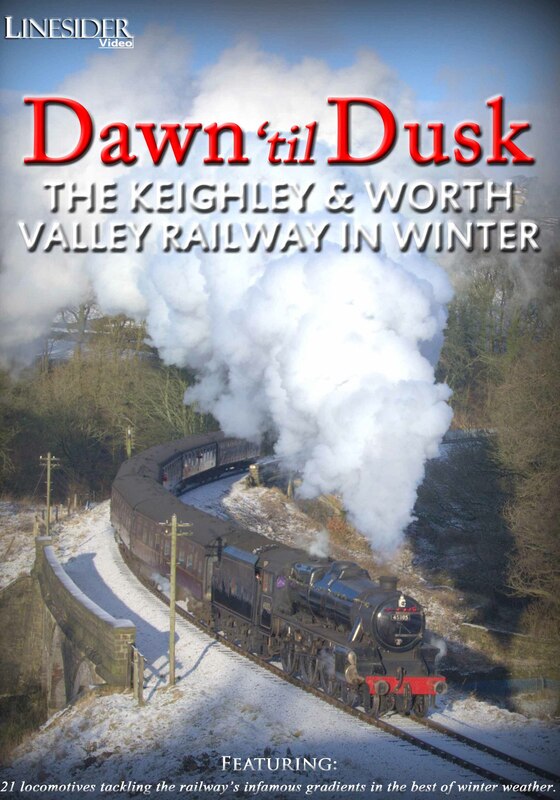 The Keighley and Worth Valley Railway is long-established as one of Britain’s finest heritage railways, having remained intact following closure in 1962, and developing into perhaps the most complete and atmospheric branch line in the country. Winter is arguably the best time to experience its unique charms, and this film showcases a wide variety of resident and visiting locomotives at work on the line’s challenging gradients, from Dawn‘til Dusk, between December and April. The material was shot over an 8-year period, and is previously unreleased. On-screen captions provide details of locomotives and dates; there is no commentary, enabling the engines to do their own talking. Dawn Departures Ivatt 41241 and Midland 4F 43924 work the first trains of the day. Snow For Christmas Onboard and lineside view of visiting mainline Black 5 45305 as we travel down to Keighley and then climb back into the snowline, with a 6 coach load. 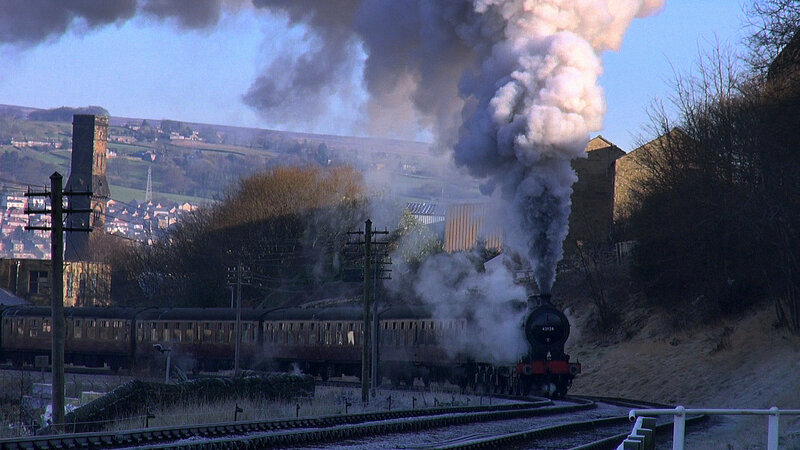 February Galas Footage from 6 winter steam galas, including resident and visiting loco’s, express, shuttle and freight workings. 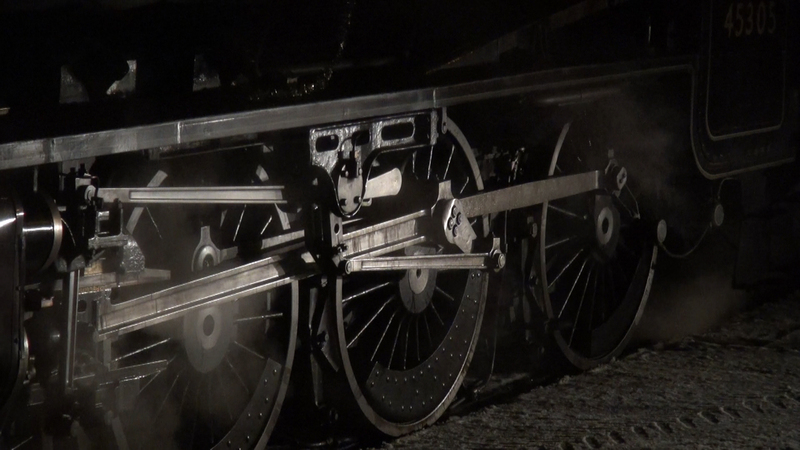 Includes footage of 41241, 4953 Pitchford Hall, 957, 80002, 70013 Oliver Cromwell, 1704, Black 5s 44767, 44871, 47279, 90733, 49395, 58926, 62005, 1744, 85, and 41312. 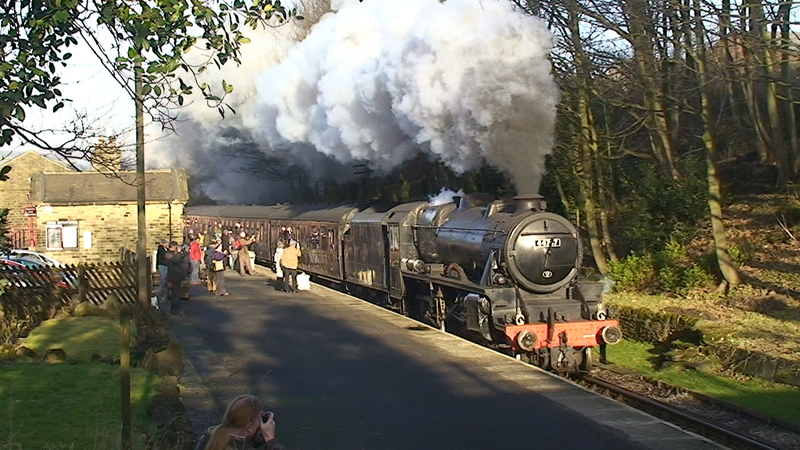 Mid-Day Sunshine WD 8F 90733 climbing the branch, Standard 4 75078 at Mytholmes, and on-board footage of visiting loco 30777 Sir Lamiel from Damems to Mytholmes Tunnel. 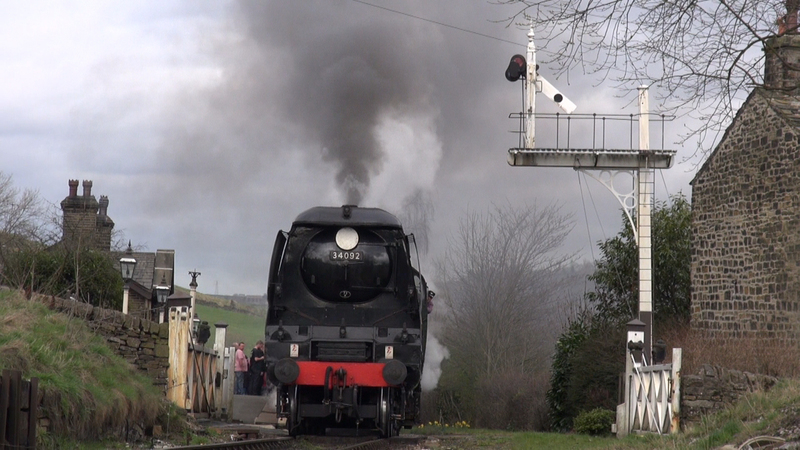 Signs of Spring An in-depth look at 34092 City of Wells following major overhaul, including extensive lineside and on-board footage as winter ends and spring arrives. 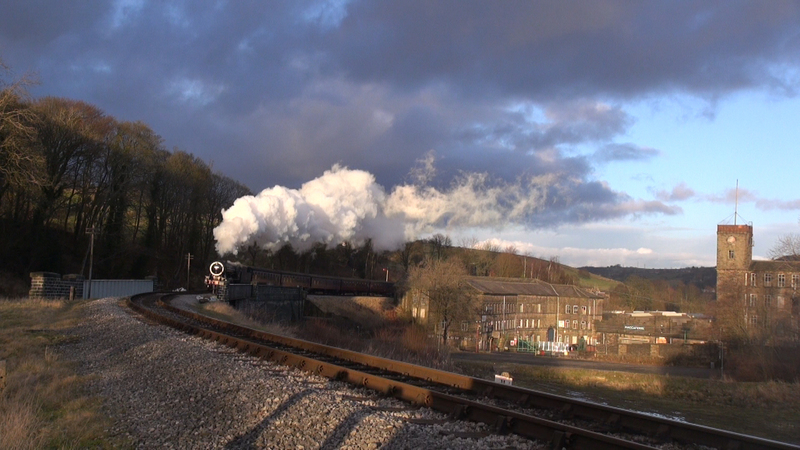 Afternoon Shadows 43924 and 90733 working up the valley in the last of the day’s sun. Dusk Descends 41312 silhouetted at Oakworth, 70013 working from Haworth loop in snow, and atmospheric scenes around Oakworth in the twilight, and on-board 43924. 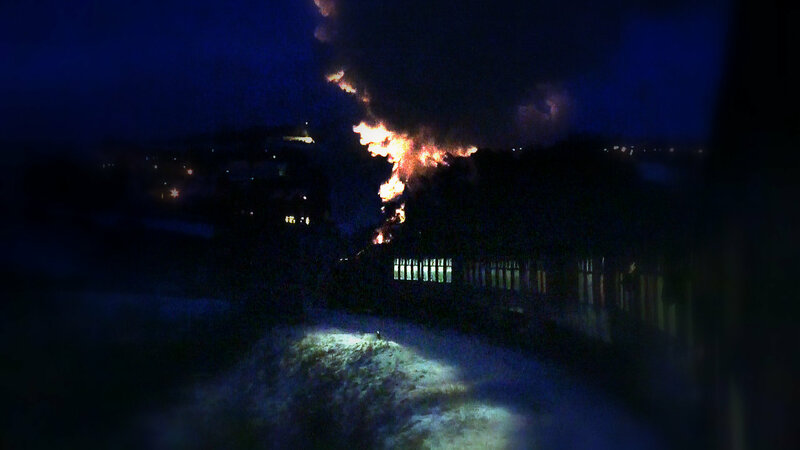 The Last Train A superb journey behind 45305 as it works the final train of the day from Keighley to Oxenhope, with the dancing flames of its firebox reflected in the smoke. Back On Shed The last work of the day as 45305 is prepared in Haworth Yard.